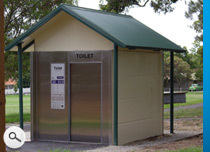 Over a number of years now, the City of Boroondara has selected the combination of WC Innovations and Exeloo as their preferred choice for the supply and installation of new Public Toilets. 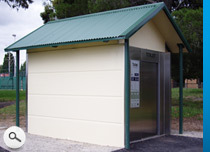 Most recently they have selected the Titan model with a specifically designed gable end roof and they have painted the toilets in the Boroondara corporate colours. This standardisation of model, design and colour scheme supports local communities in identifying a safe and hygienic public convenience in their area. Standardisation can also assist Council in the budgeting process for future installations. 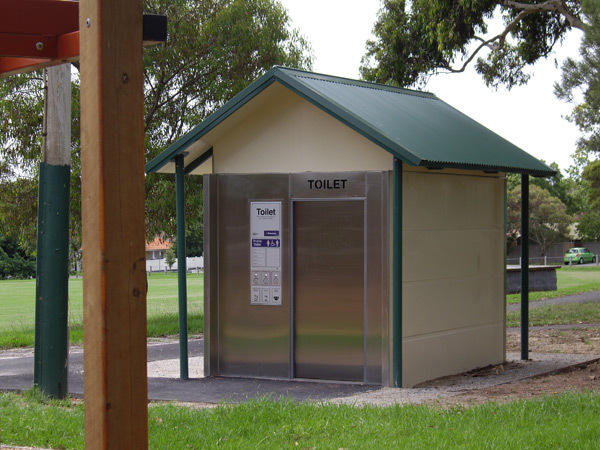 The project at Burwood reserve was part of the parks upgrade scheme whereby the play equipment was upgraded, the old dark and unsafe brick toilet block was demolished and the new Exeloo Titan APT was installed. 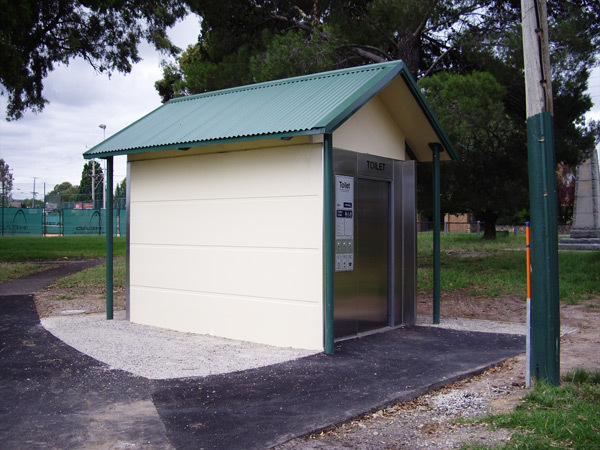 Already the public use of the upgraded park facilities at Burwood reserve has increased, further proving the benefits of a well located, clean and safe public toilet.